Image | This entry was posted in clues, cricket, Democracy, History, Humour, identity politics, incredible india, Politics, Uncategorized and tagged Beef, intolerance, IPL, Modi, patriotism, Rahul Gandhi, TV Shows. Bookmark the permalink. Your blog is amazing. Brilliant thought process behind every post can be easily seen. 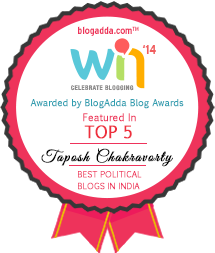 I hope you visit my blog too and give your valuable suggestions.